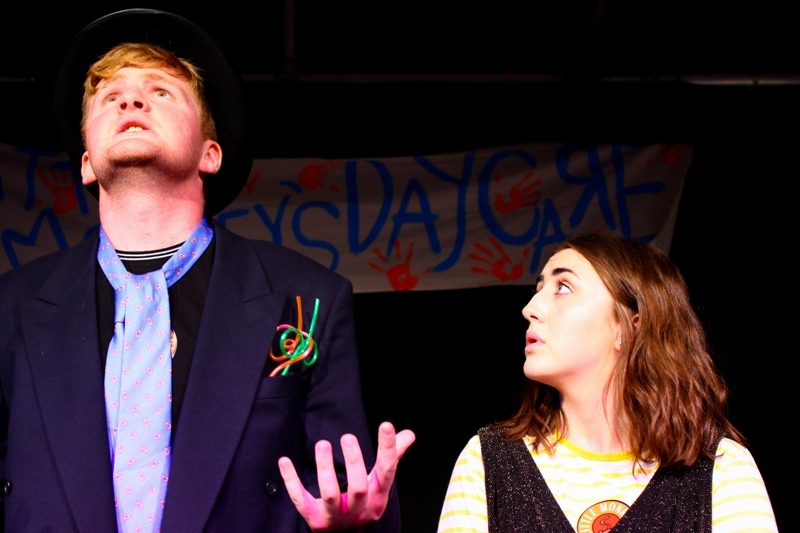 Stage show Big Trouble in Little Monkey’s Daycare came to Alphabetti Theatre for a preview in July, we caught up with director Jack and cast member Leo to find out a little bit more about the show. Jack: Big Trouble in Little Monkey’s Daycare, is a Detective story set in a nursery. Noir dialogue, water guns, candy stick cigarettes and spilt milk. Leo: Our show is a spoof detective noir set in a daycare. The kids, fuelled by E-Numbers and apple juice aplenty, must get to the bottom of an extremely tricky mystery. Expect drama, betrayal, intrigue and crazy straws. Will Tommy and Bobby discover the truth? Only time will tell. How has the process been of pulling the show together so far? Leo: It’s been a tremendous experience thus far, going far more smoothly than anyone could hope for. Everyone seems to work together very well and get on like a fiery house. Too good to be true? Nine daring souls sharing one toilet in Edinburgh may put such claims to the test. Have you done any other performances of the show so far? How’ve they been? Jack: Before the Alphabetti preview we had a performance during the university drama festival, where we won best script and our own Leo won best actor! However, a lot has changed since then, new scenes, new cast and we are excited to see what everyone at the Fringe thinks! What are you looking forward to most about taking this show to the Edinburgh Fringe Festival? Jack: Water pistol fights on the mile! Leo: I’m looking forward to, as a “Burger of Edin” myself, living in my home town as a tourist and really throwing myself into the Fringe festival for the first time. The prospect of sharing a bedroom with Ben “The Rig” Leach (our very own Jonathan/Shady Lee/Ben) is also equally as exciting as it is intimidating. Anything you’re not looking forward to? Jack: Sharing the aforementioned one bathroom with nine people. What’s next for you after the Before Fringe show? Leo: Hopefully a successful run of During Fringe shows.